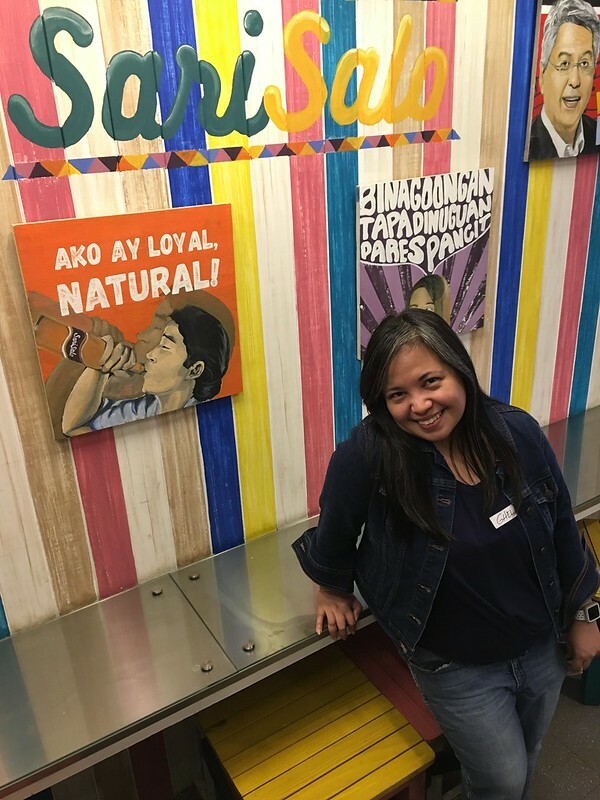 One of the newly opened stalls at The Podium’s Corner Market Food Hall featured during a food tasting event was Sari Salo. This eatery’s unusual name stems from two Filipino terms consisting of repeating syllables (another Pinoy quirk, hehehe! ): sari-sari and salu-salo. Sari-sari refers to “variety and sundry.” Hence, the ubiquitous neighborhood mom-and-pop stores present and vital in many Filipino neighborhoods are called sari-sari stores. These stores connote affordability, being the go-to places of families within the neighborhood for tingi-tingi (unit purchases) of basic food items and home necessities. It is also a place where people (stereotypically the chismosos or the busybodies) come together and hangout to talk about neighborhood life. Salu-salo, on the other hand, refers to “a social gathering or party.” It’s a time when family or friends come together for a good time, and usually over good food. 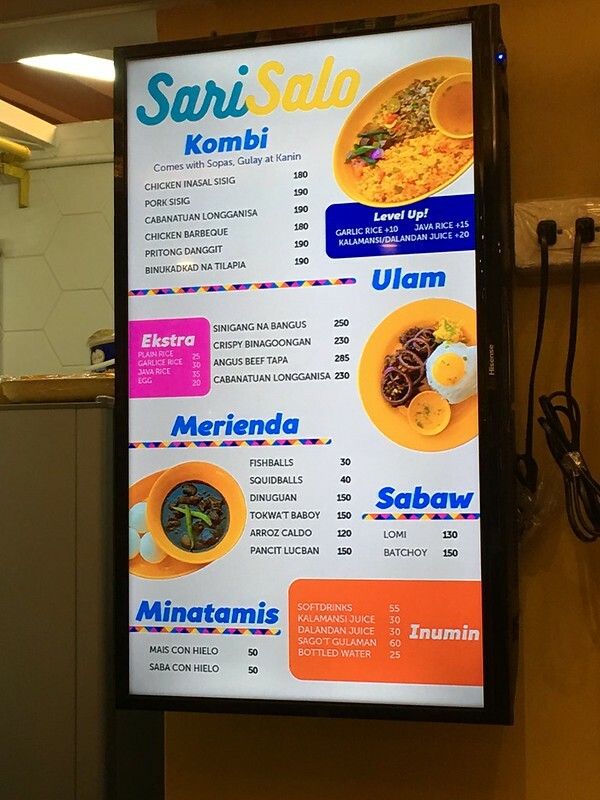 Sari Salo, in turn, strives to live up to the wealth of cultural meaning that its name implies with its simple, Filipino comfort food you and your family or friends can enjoy while you spend time together after a shopping trip or a movie date at the mall. 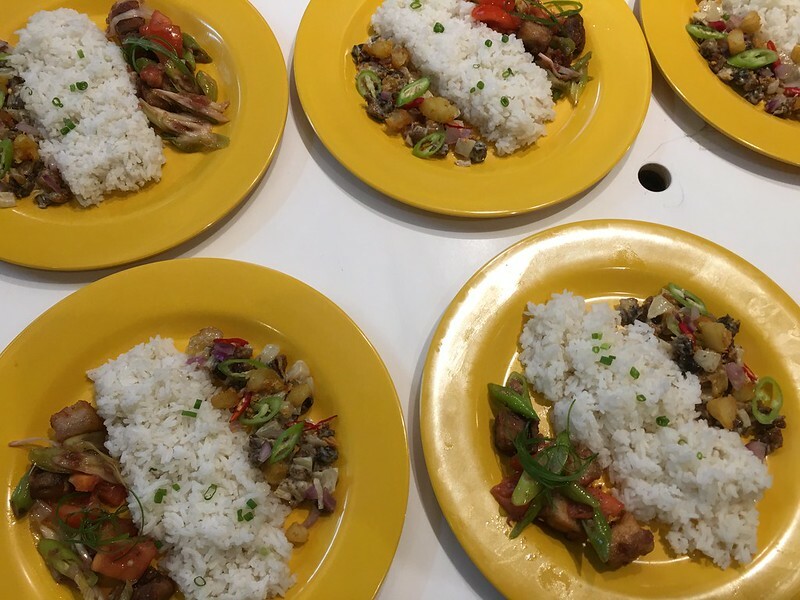 Take for example the sampling of its offerings served during the food tasting event: the Crispy Pork Binagoongan (Php230) and the Angus Beef Sisig (Php280 for regular | Php350 for super-sized). The pork binagoongan has the right combination of saltiness and spiciness that make it a tasty viand to eat together with hot steamed rice. 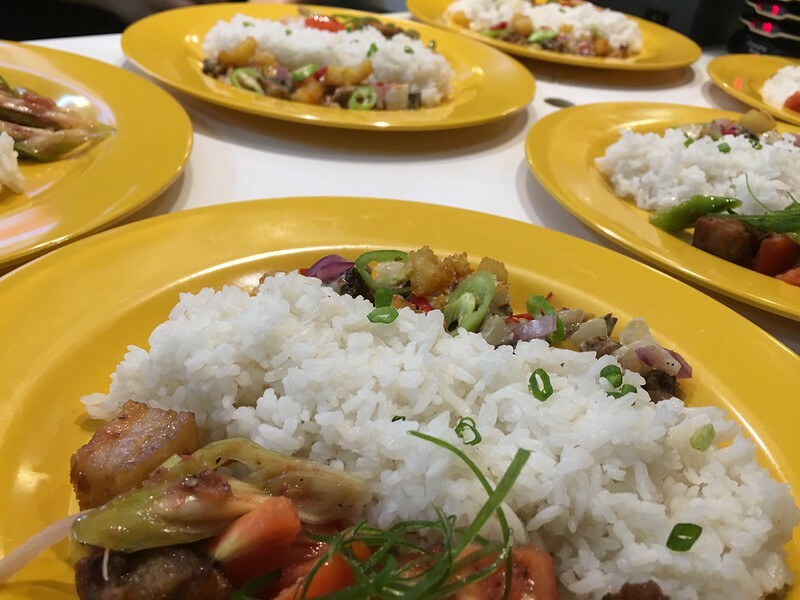 The beef sisig, on the other hand, is flavorful and tender to the bite, given that its made of Angus beef, of course. 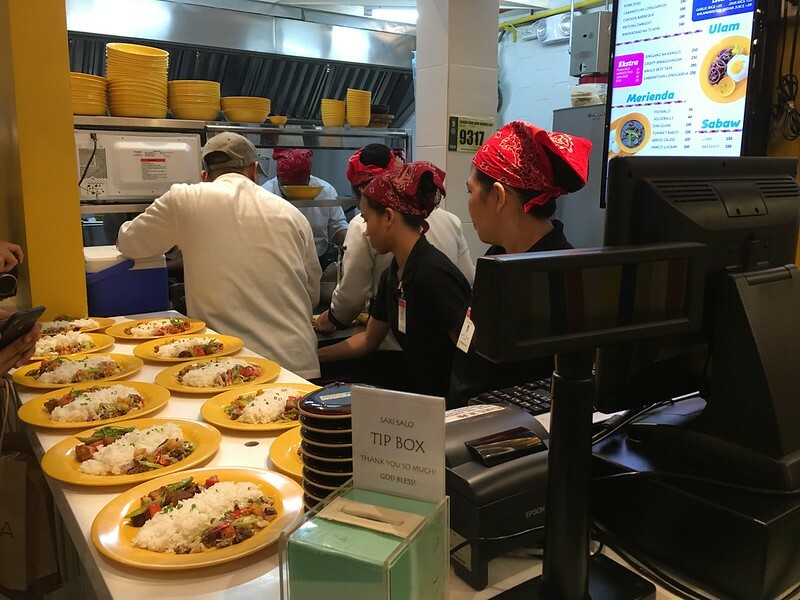 The food was served efficiently without much fanfare, giving us tasters more time and attention to devote to savoring our meal. 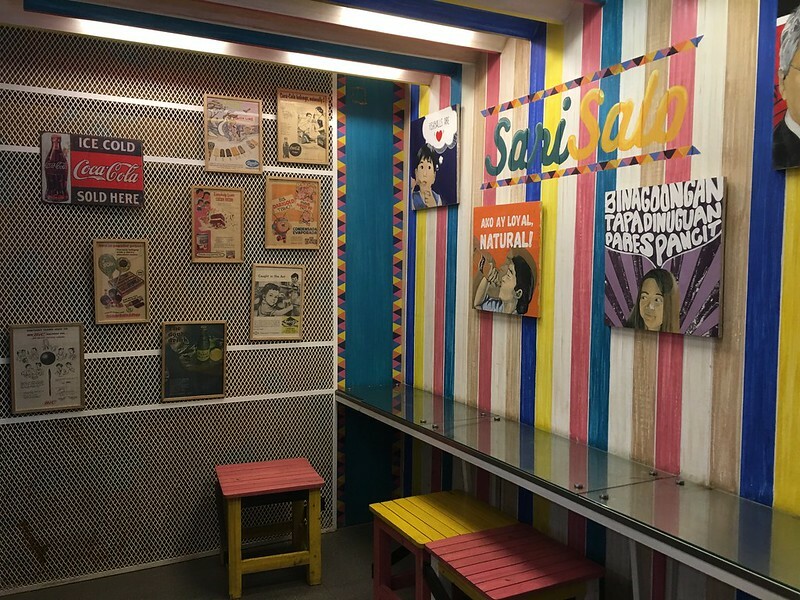 Sari Salo’s stall is also a more spacious and colorful rendition of the sari-sari store, and littered with fun Pinoy pop culture references. And since #EveryOppIsAPhotoOpp, I gamely struck a pose (or two, hehehe!). Thanks to Chef Jocen of Boodlebear for taking the photos. 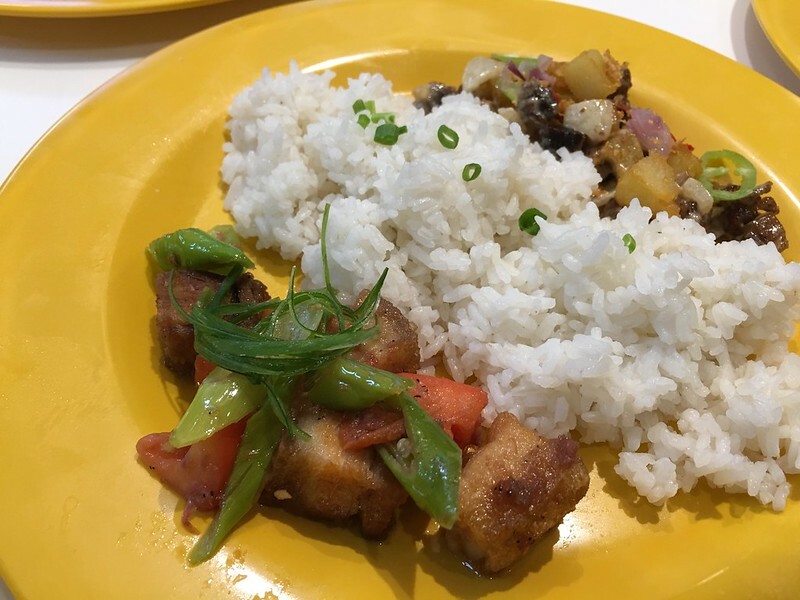 I would recommend Sari Salo to mall-goers hankering for Pinoy comfort food. Sari Salo is located at the Corner Market Food Hall, Second Floor, Podium Mall, Ortigas Center, Pasig City. It is open daily from 11am to 10pm. Disclosure: Together with other food bloggers, I was invited to attend a Blogger Event held in the Corner Market Food Hall. Food items mentioned here were served to allow us to sample the fare and were not paid for by the attendees, including myself. 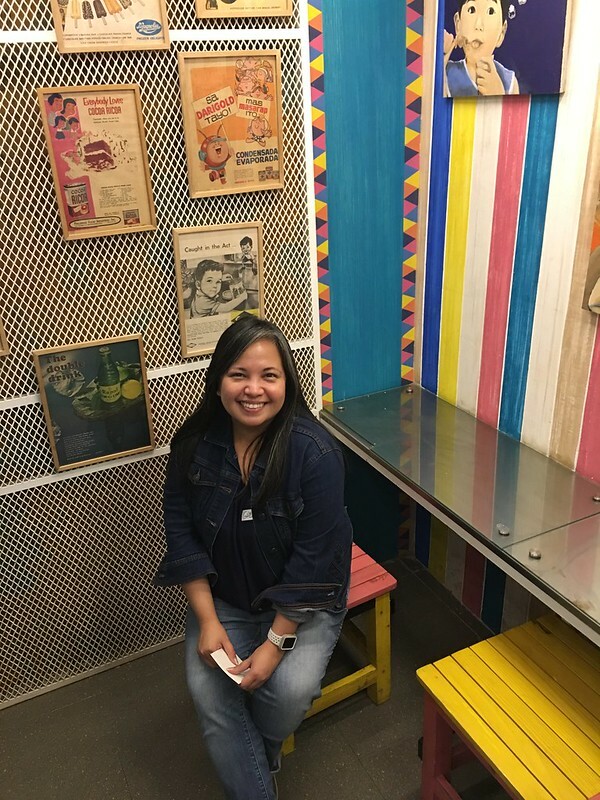 Check out my review of the other stall featured during the food tasting event: Pizza Morena.